The Project background: Agriculture is the mainstay of Sierra Leone, accounting for 62.6% of GDP. Subsistence farming dominates the sector, where the use of fertilizer is limited due to cost, poor availability, and lack of knowledge of the increased yield benefits of correct application of fertilizer in agricultural practices. In Sierra Leone all fertilizer is imported, typically in relatively small quantities which increases cost and reduces availability at critical periods of the crop cycle. Farmers also lack the appropriate education and support which then limits their fertilizer usage. IFC is looking to hire a firm to undertake a market study in Sierra Leone to better understand the fertilizer market and value chain and to develop a plan to strengthen the fertilizer supply chain which also supports the project development of Mangara Agribusiness Company (Mangara), a local company that is working to develop a bulk blending fertilizer plant in Sierra Leone. Objective: The IFCs FIG aims to reduce the agribusiness finance gap in emerging markets and achieve large-scale food-supply impact in Sierra Leone and Senegal, by providing financial institutions (FIs) with Investment and Advisory Services. FIG would like to hire a consulting firm to carry out a mapping exercise of the agricultural sector and some pre-selected crop value chains, aligned to the agricultural development policy and/ or strategy of the country. This will include a detailed analysis of the value chain actors and facilitators, the role and impact of FIs (banks, micro-finance institutions, savings and credit co-operatives) and an assessment of the existing and potential financial services delivery channels, especially agency banking and DFS, with respect to rural smallholder farmers. The objective of each study is to provide recommendations for financially feasible options for commercial plantation forestry industry cluster development. 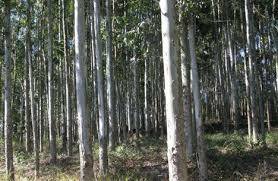 This would be for the optimal utilization of existing and potential plantation forestry wood resources in terms of wood product market requirements both domestic and export. Industry cluster development options should consider all possible impacting factors including available suitable wood and land resources, possible outgrowers, markets, infrastructure and workforce, communities, existing businesses, and possible SOE privatization/inclusions. Press release published on the World Bank website. WASHINGTON, January 12, 2014—The socio-economic impacts of Ebola in Liberia and Sierra Leone are far-reaching and persistent, according to two new World Bank Group reports. Both countries continue to experience job losses, despite their differing health outlooks. These impacts have not been limited to the areas where infections have been the highest, which points to economy-wide slowdowns. As a result, many households have been forced to take short-term actions to cope, which can have substantial long-term effects on welfare.